In the race for tops in watches, Chopard Classing Racing timepieces are a strong contender! The collection features three series inspired by the auto world and sports cars. The Mille Miglia is a luxury sport watch, paying tribute to vintage car racing. The Grand Prix De Monaco Historique features sports car details on its case, dial markers and pushers. The Superfast is bold and assertive-looking, with a powerful presences that comes from an imposing case. Chopard is no stranger to auto racing. They have been a loyal partner of the legendary classic auto races mentioned above for many years. The brand has also partnered with Porsche Motorsport and participated in the 24 Hours of LeMans. 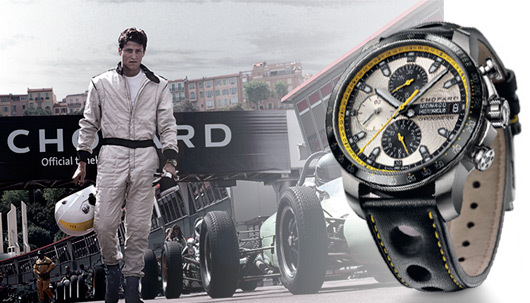 Which Chopard Classic Racing watch is at your finish line?